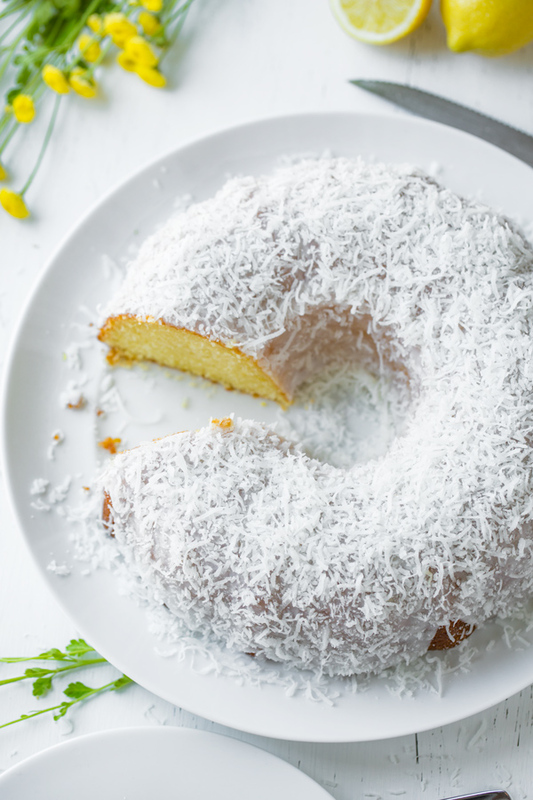 Nothing says “summer dessert” quite like the bright and happy flavor of a homemade lemon bundt cake topped with a creamy coconut glaze, perfectly moist, delicious and a little bit zingy. 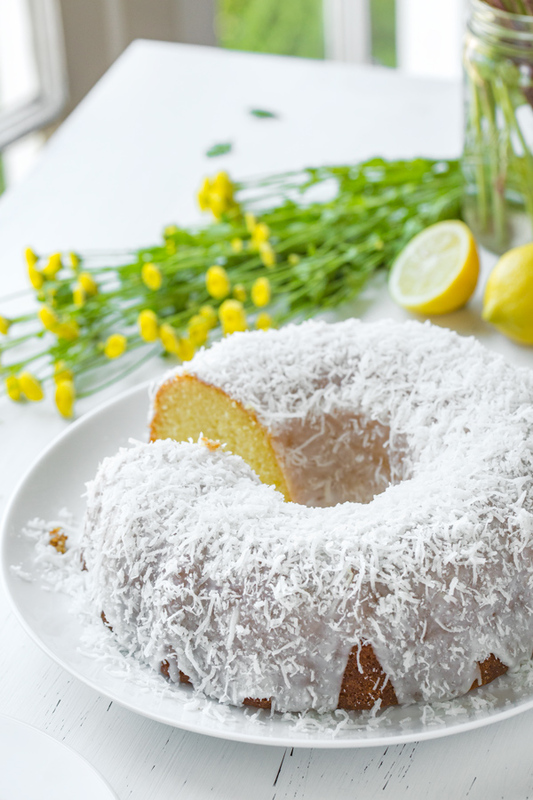 When Life Gives You Lemons, Make Lemon Bundt Cake! I have a real soft spot for lemons, and consider myself quite the “lemon head”. 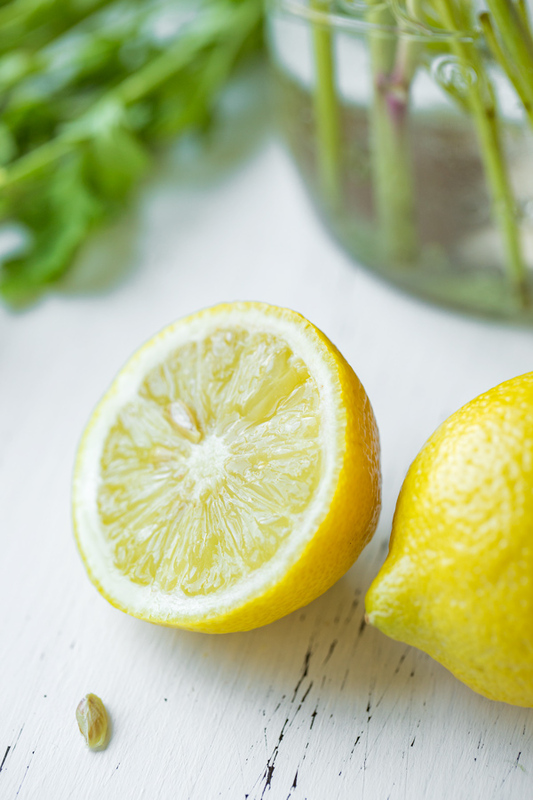 Honestly, I pretty much add at least a little squeeze of lemon into just about everything from my soups to my sauces to my drinks, because it provides that little bright note, that little touch of zing and zip that wakes up my palette, and I really crave that. 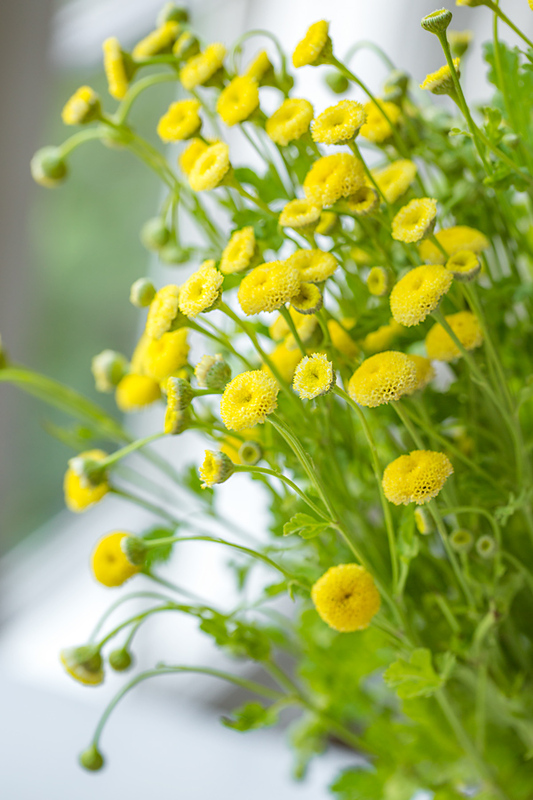 For me, the flavor of lemon reminds me of sunshine, and of what “joy” would taste like if it had a flavor. 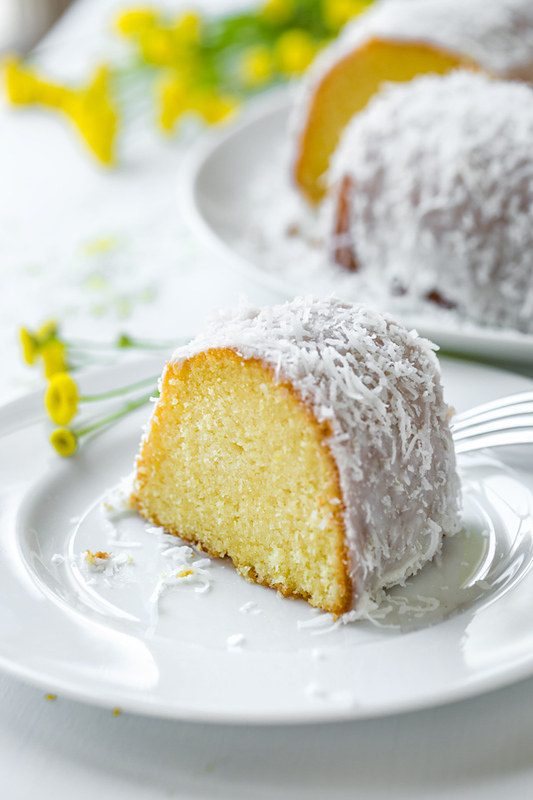 So it’s no surprise that one of my absolute favorite flavors when it comes to a summer-y dessert is lemon, especially in the form of a moist, rich and fluffy lemon bundt cake, one drizzled with a creamy coconut glaze to give it that little tropical twist—so good! While some bundt cake recipes call for oil in the batter, I prefer to substitute butter for a lighter texture, and for that flavor that is rich and warm. Nothing tastes quite like butter, am I right? I also like to add a touch of sour cream plus a cup of buttermilk to this recipe for added creaminess and tang, which only helps to highlight its already zippy, lemony flavor; it also creates that tender crumb that a good cake should have. The result is a rich, moist and flavorful lemon bundt cake, one that’ll make going back for seconds irresistible (not that I have any personal experience with this, wink-wink). Room temp ingredients are better than cold: Allow your butter, eggs, buttermilk and sour cream to come to room temperature, to ensure even mixing and baking. Substitute more sour cream for the buttermilk, if you don’t have any: In case you’re in a pinch and don’t have any buttermilk, use a total of 1 ¼ cups plus 2 tablespoons of sour cream, instead. Turn your bundt pan half-way through baking: Give your bundt pan a turn about half-way through your baking time to help ensure even baking and browning. Cool it before glazing: Be sure your cake is completely cooled before glazing it; and if you can, use a wire rack with foil or plastic wrap beneath it when you glaze to catch the extra drips and make for a cleaner looking cake. 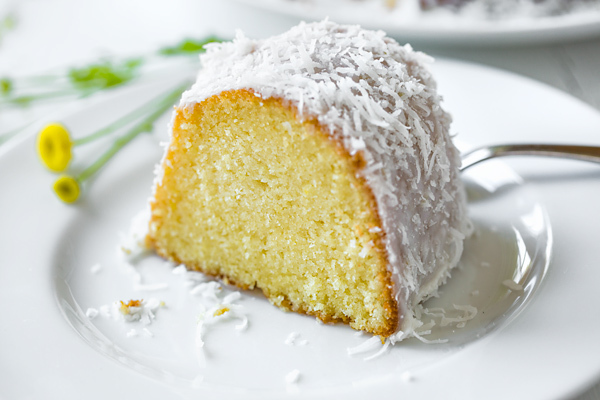 This lemon bundt cake is rich, moist and fluffy, bursting with the bright flavors of fresh lemon and a hint of coconut from the creamy glaze. -Preheat the oven to 350°, and mist a 10-inch bundt pan with cooking spray. -Whisk together the flour, baking powder, baking soda and salt in a small bowl, and set aside these dry ingredients for a moment. -To the bowl of a standing mixer fitted with a paddle attachment, add the softened butter, the sugar, and the zest of the two lemons, and begin creaming these ingredients together until nice and fluffy, about 2-3 minutes. -Add in the eggs, one at a time, followed by the vanilla extract. -Next, drizzle in the buttermilk and add in the sour cream, as well, and mix those in until smooth; finish by slowly adding in the dry ingredients and mix those in just until well combined. -Pour the batter into your prepared bundt pan, and bake the cake for about 50 minutes, turning it half-way through baking to ensure even baking, or until skewer or toothpick inserted comes out clean. 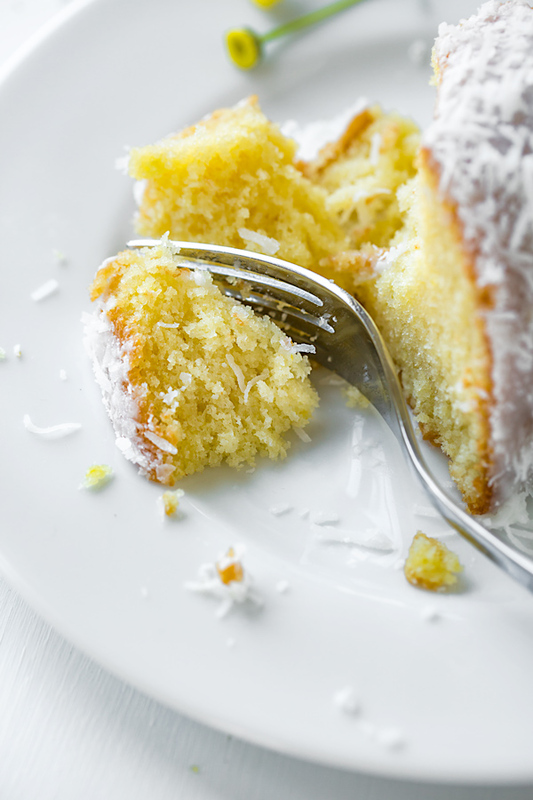 -Allow the cake to cool in the pan for 10 minutes before turning it out to continue to completely cool on a wire rack before drizzling the glaze over, and then garnishing with the shredded coconut. -Add the powdered sugar to a medium size bowl, and drizzle in the half and half; whisk that together until smooth (if you need a touch more half & half because your glaze is slightly too thick, add in about 1 tablespoon more); add in the coconut flavoring and the lemon zest, and whisk to blend; use immediately, of keep in fridge until ready to drizzle over bundt cake. Yes, certainly! I’d go either full-fat or 2% Greek yogurt. Hope you enjoy!